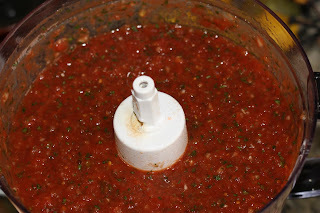 I am a salsa addict, ill admit it, a good salsa and some tortilla chips, and I can really do some damage. Of course I find the majority of store bought salsas to be utterly disgusting, so that leads to me making my own salsas. 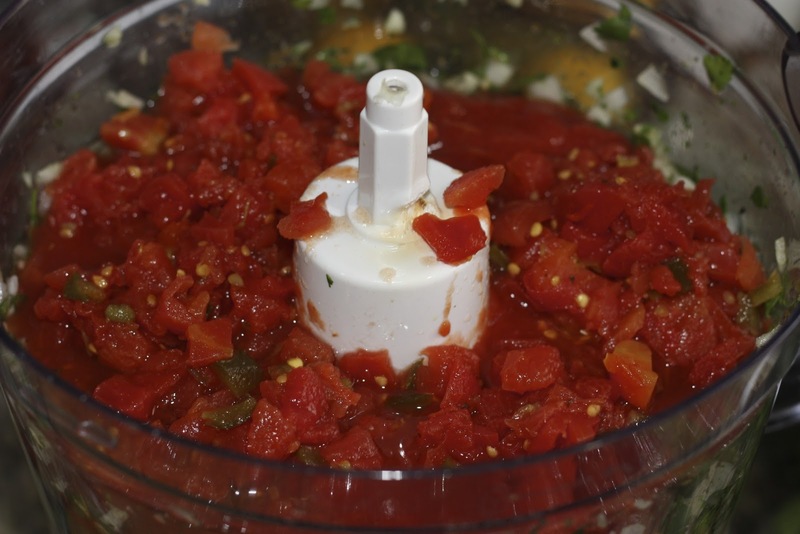 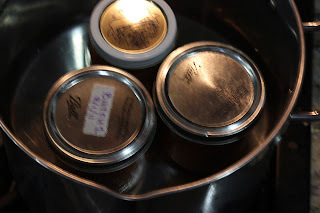 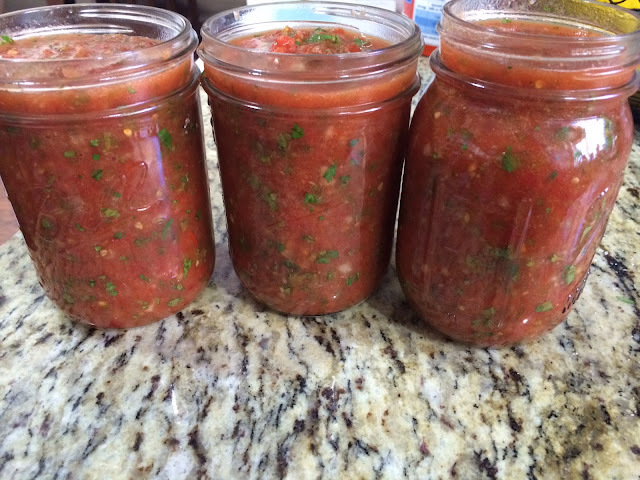 I've got a few different salsa recipes, but I'm really loving this one right now, mostly because of how incredibly easy it is to make and can for later, and also because it really does taste like the salsa you get at a Mexican restaurant. 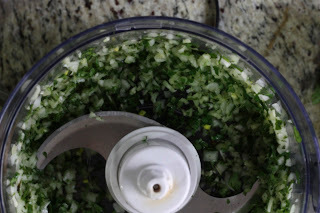 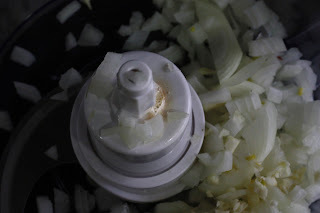 Using a food processor, chop up the onion. 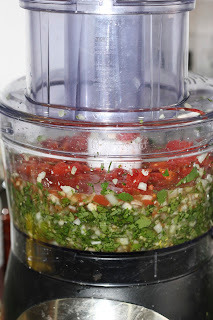 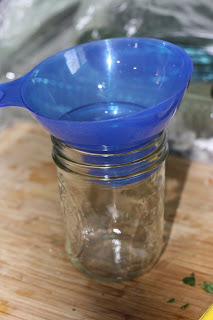 Add the lime juice, one lime at a time until you like it, adjust salt if wanted. Boil for 15 minutes, let cool, keep in a dark cool place. DELISH!